Whitehaus fireclay sinks are handmade from all-natural clay and lead-free materials. These sinks are incredibly durable and resistant to scratches, chips, stains and extreme temperatures, not to mention their simple maintenance. The WHFLRPL3318 Farmhaus Fireclay Reversible Series sink comes in four finishes – white, biscuit, black and sapphire blue. It measures at 33” x 18”, making it the ideal size for all your kitchen needs. The sink has a raised panel front apron on one side and a fluted front apron on the opposite, which gives you flexibility and transforms the look of your counters and will remain in style for years to come. US Patend No. 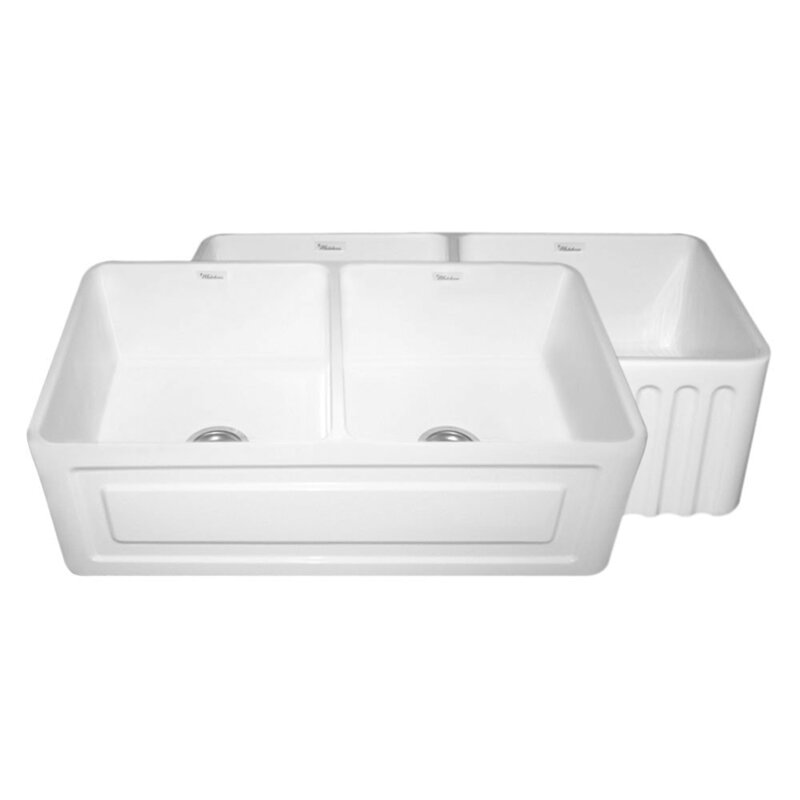 D624636 S. Reverisble series fireclay sink with a raised panel front apron on one side and a fluted front apron on the opposite side.